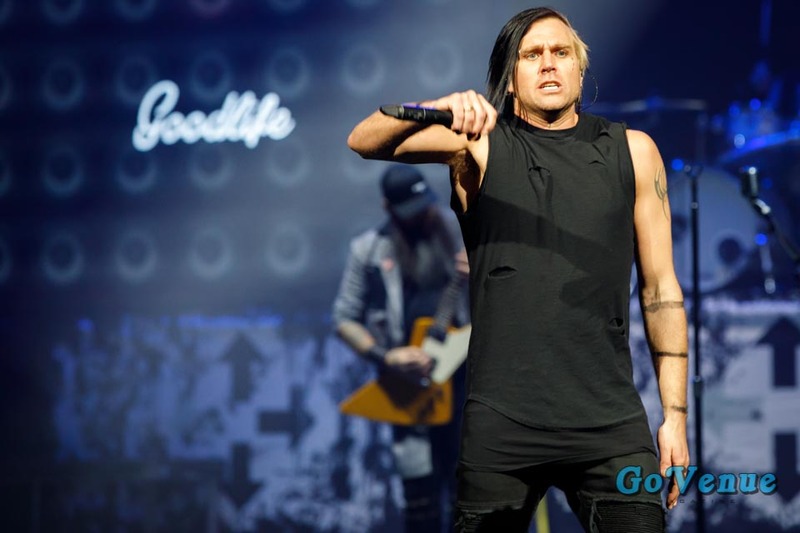 January 22, 2019 was a rough day, weather wise, for a good portion of Nebraska. 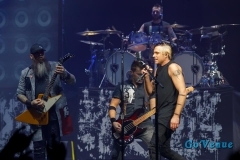 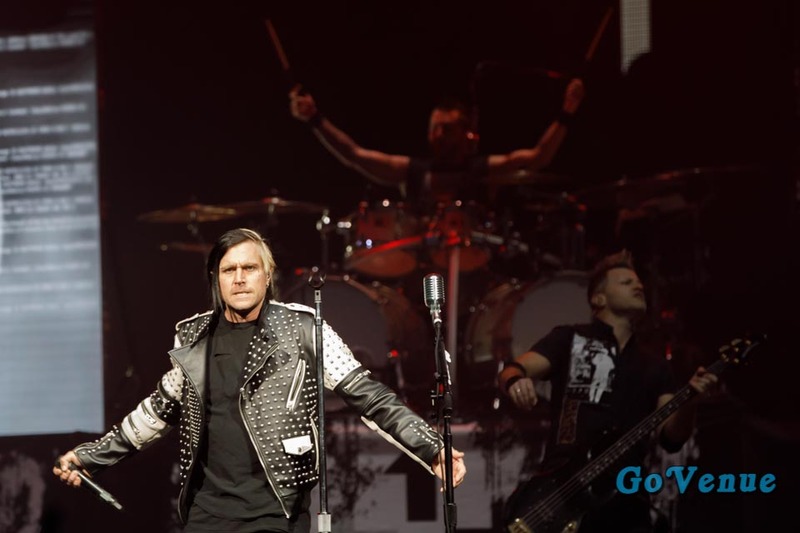 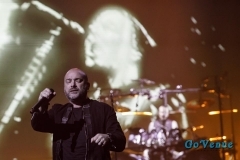 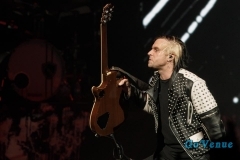 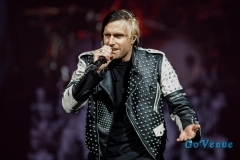 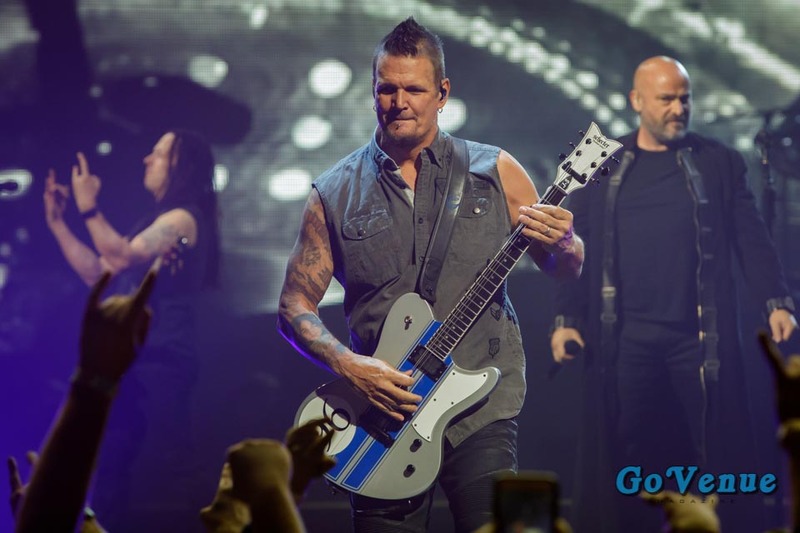 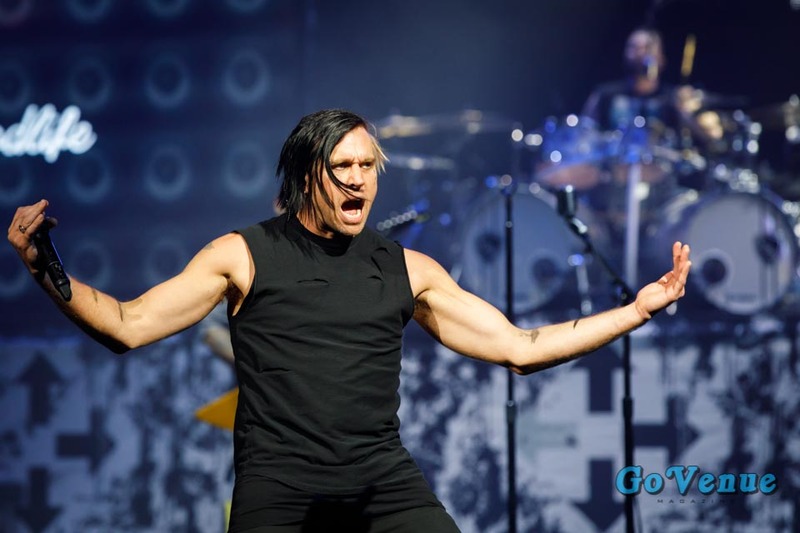 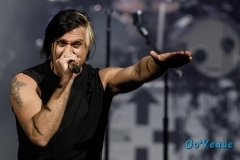 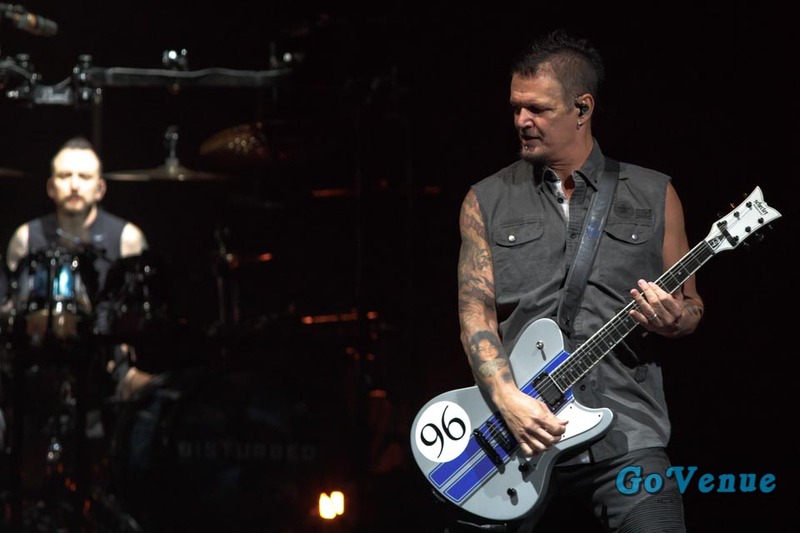 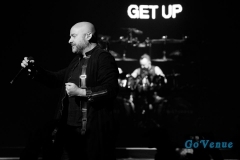 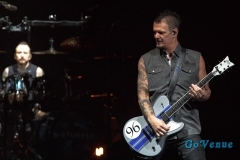 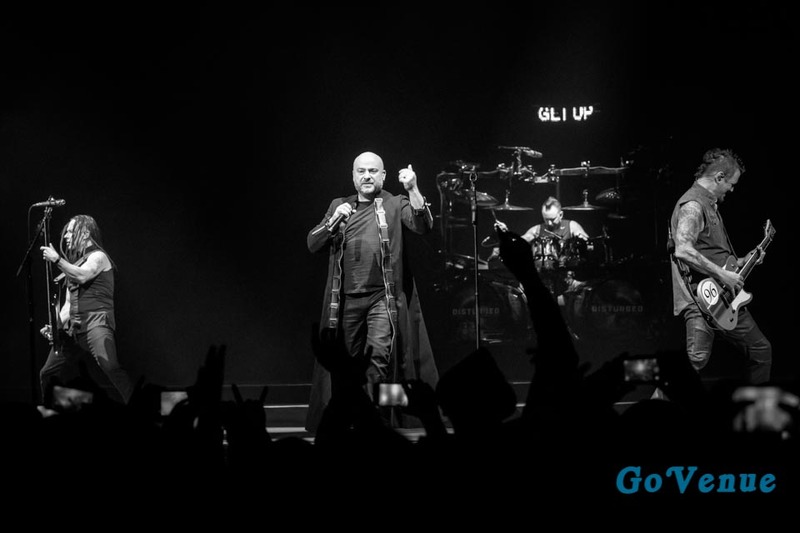 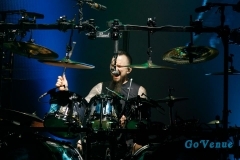 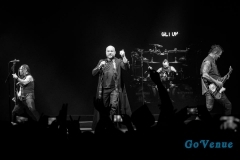 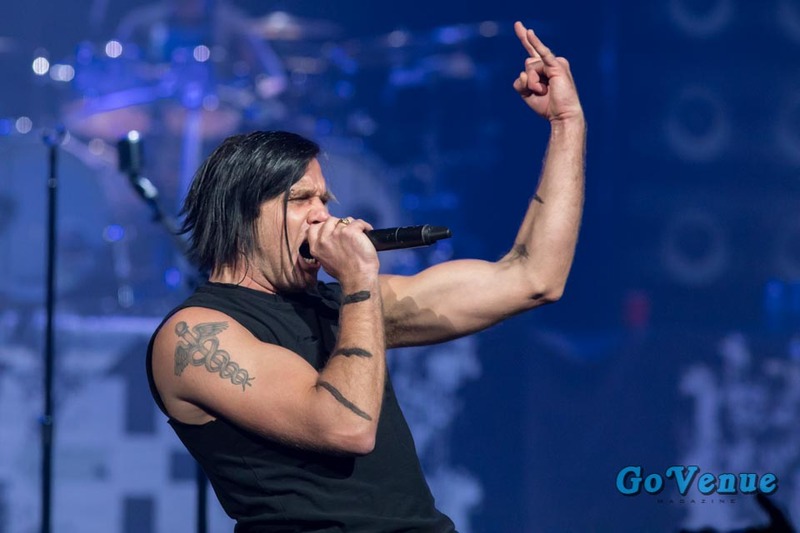 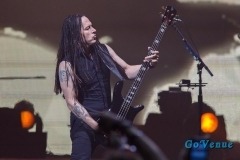 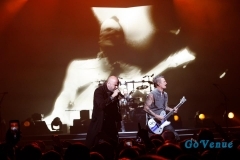 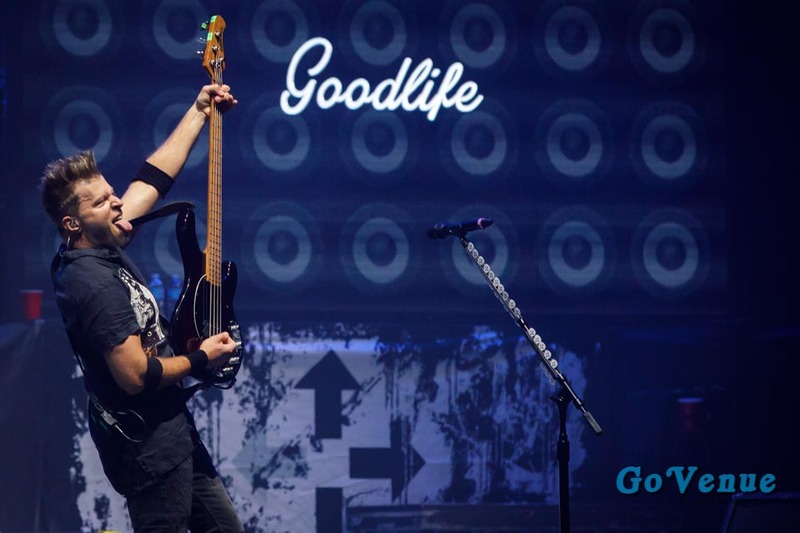 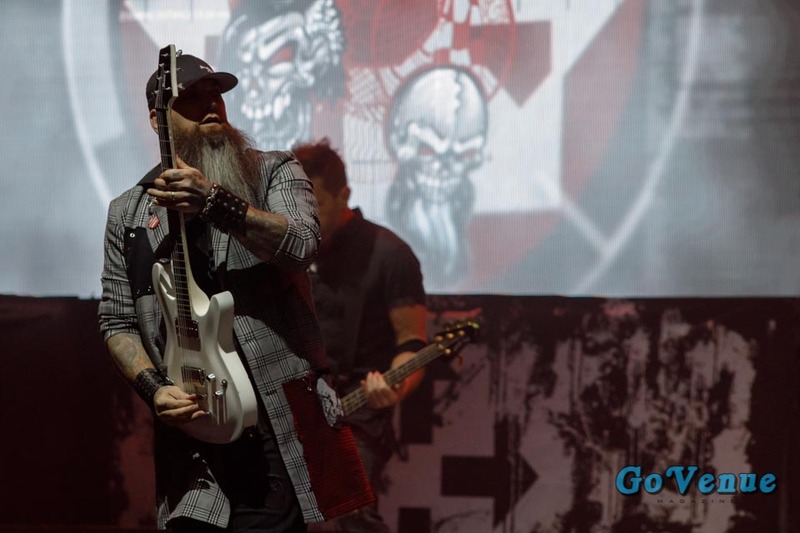 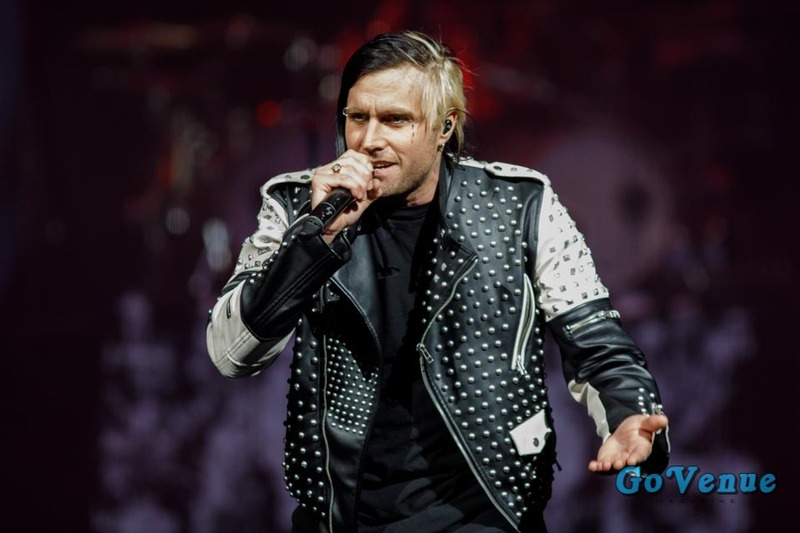 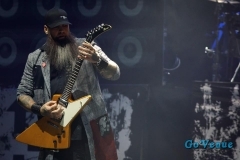 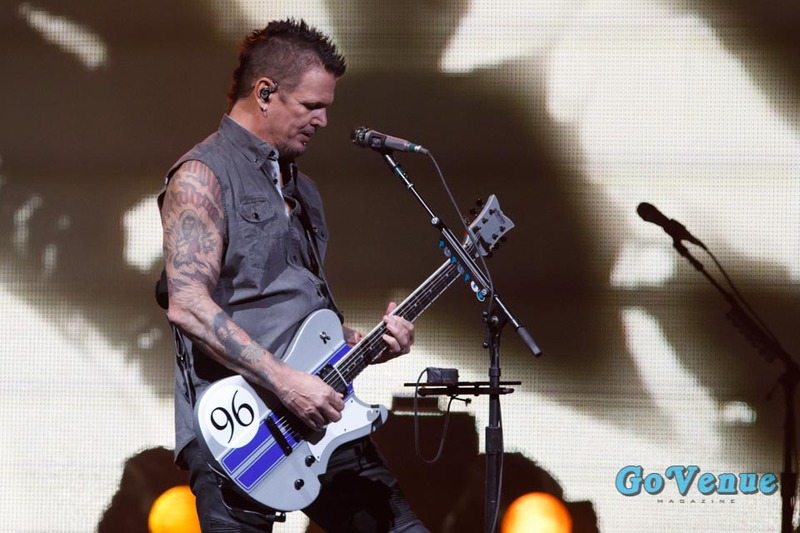 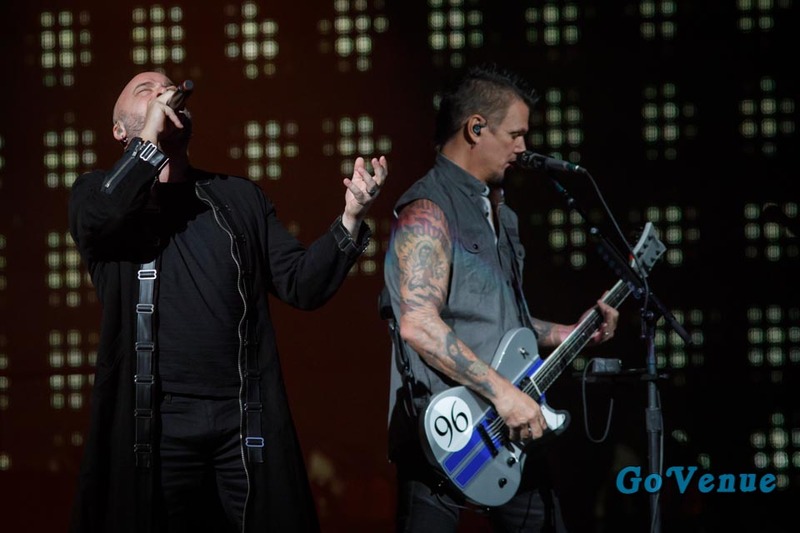 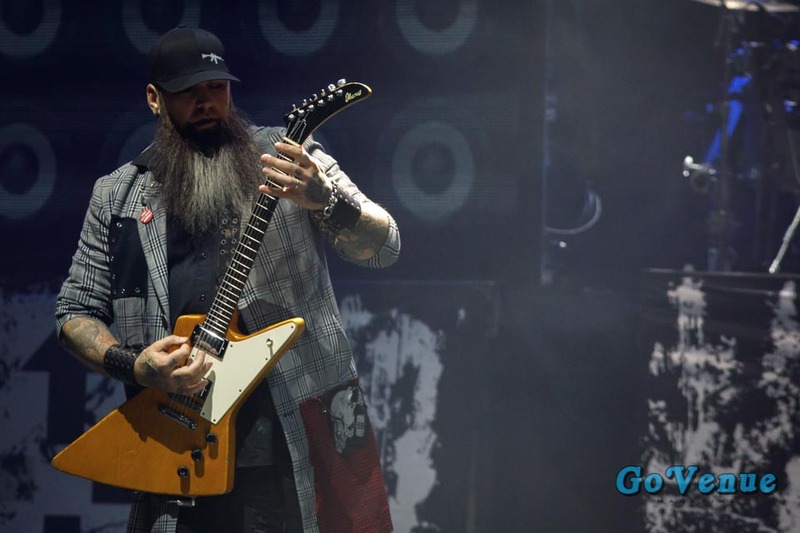 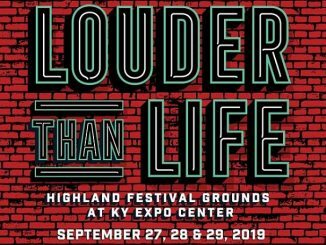 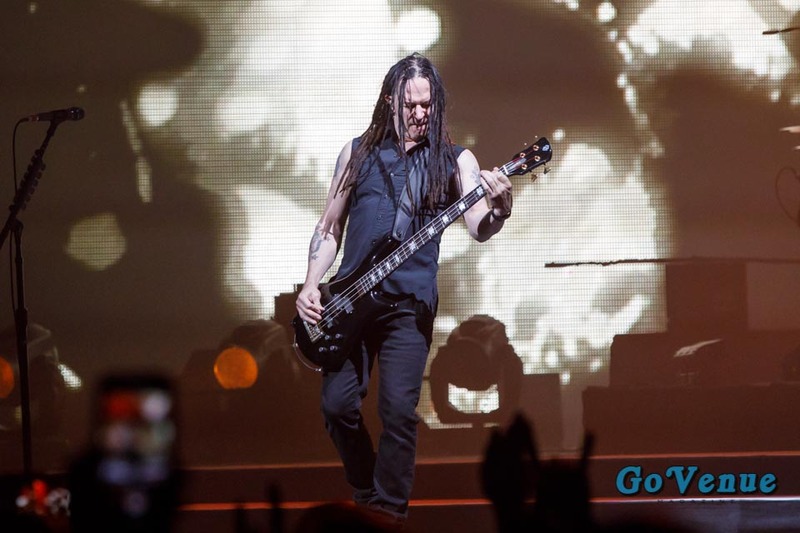 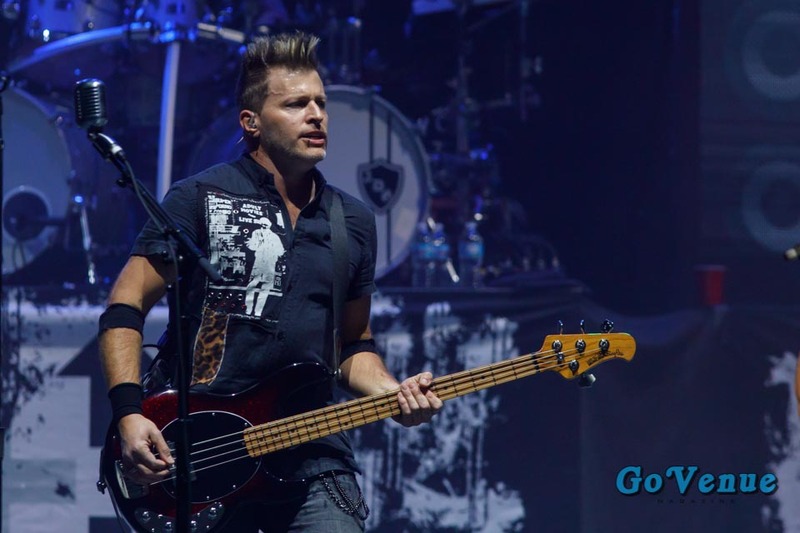 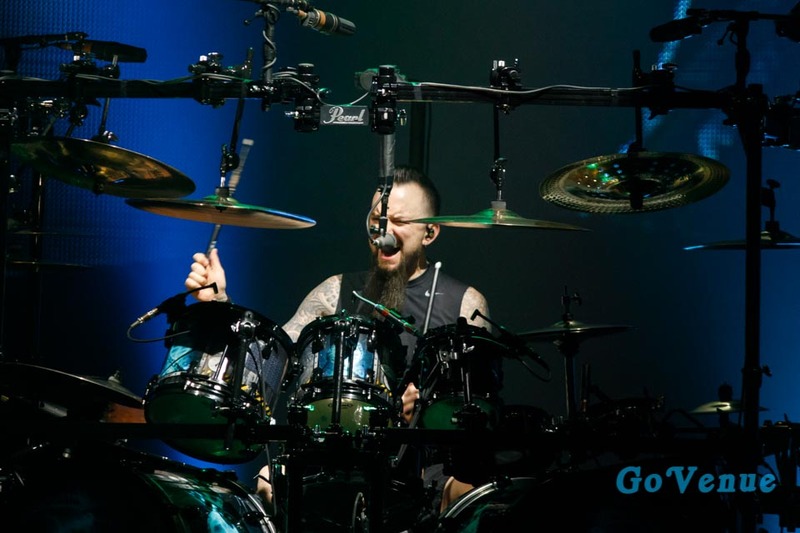 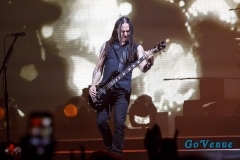 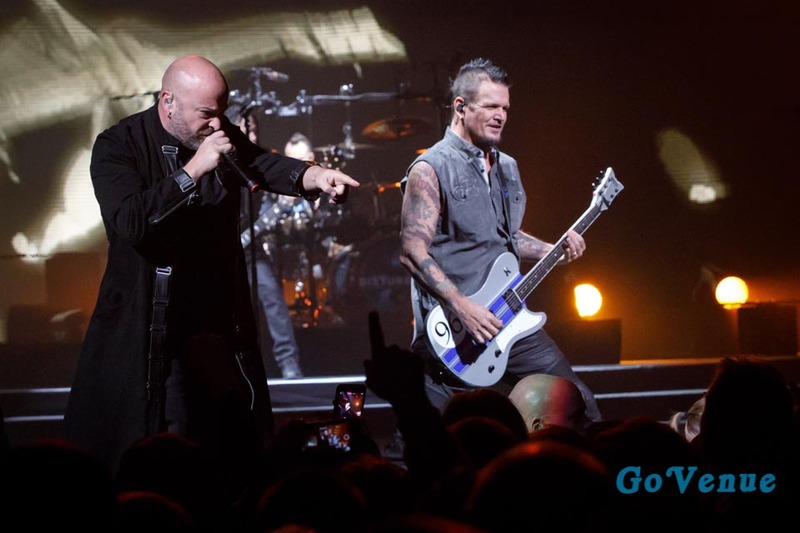 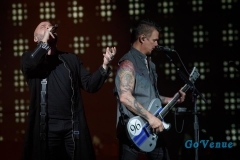 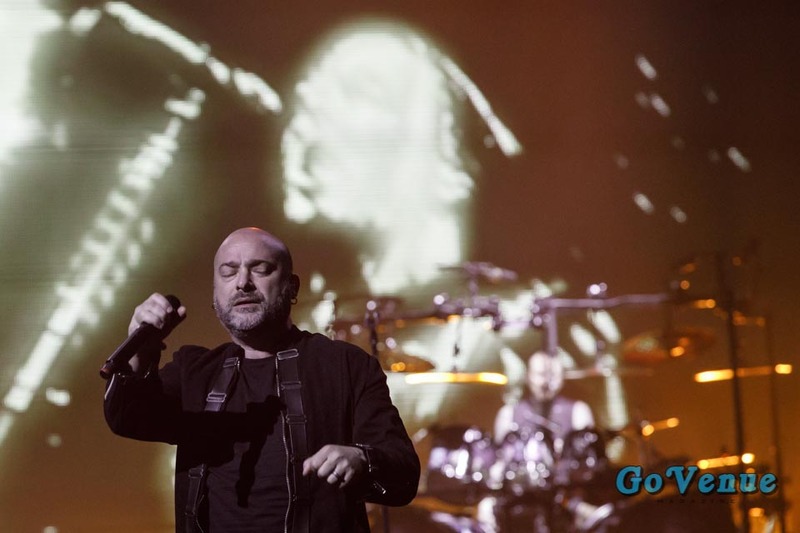 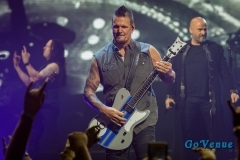 The roads were a little rough, but that didn’t stop the faithful thousands of rockers and metalheads of the heartland from seeing Three Days Grace and Disturbed. 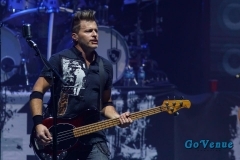 Though not completely filled, Pinnacle Bank Arena in Lincoln, Nebraska was the place to be at. 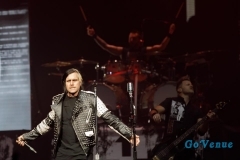 Canadian hard rock band Three Days Grace opened up the show. This was my first time seeing them live. 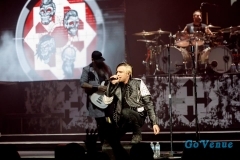 They opened up with “The Mountain” off their latest album, Outsider. 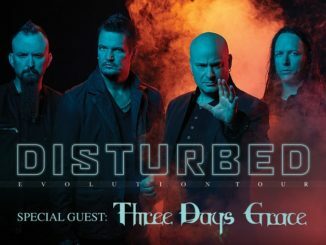 I’ve been listening to them since the fall of 2012, so I was looking forward to finally seeing them. Fronted by Matt Walst, who has been taking the reins since 2013, brought so much energy to band, as he is the youngest member. 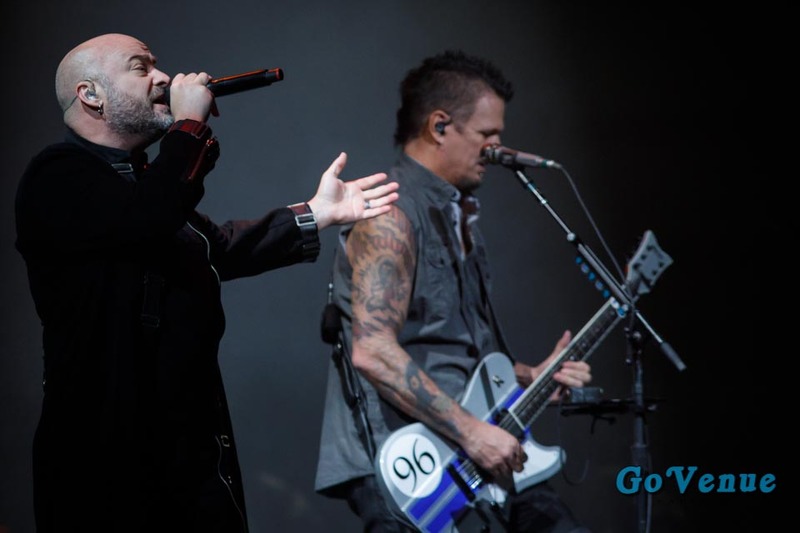 They played a great portion of their older material, as they have a plethora of hits. 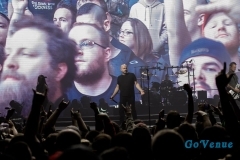 Everyone was singing along and having a good time. 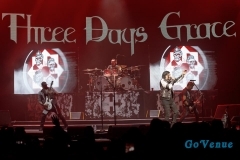 Solid set by Three Days Grace. Finally was the Chicago rockers Disturbed’s turn to hit the stage. 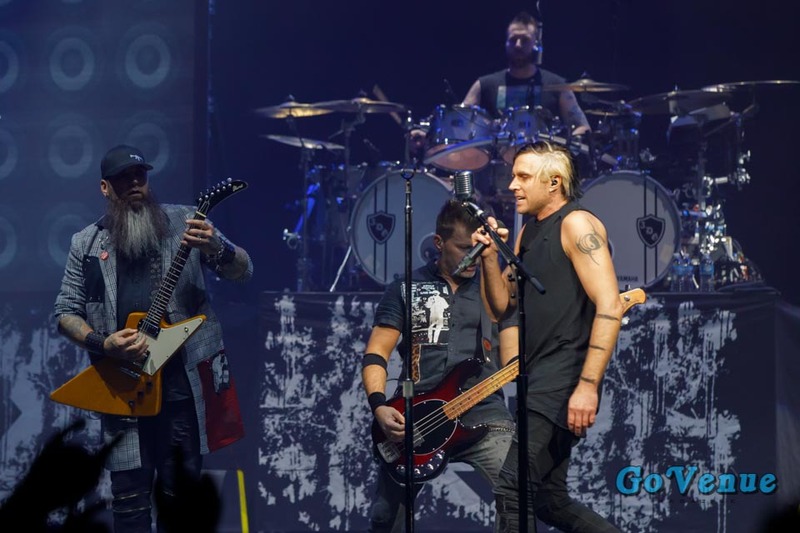 This was their first time since 2011 that they played a show in Nebraska/Council Bluffs, but their first time in Lincoln since 2006(!). This was my first time seeing them, as well. 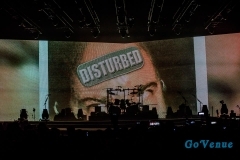 Before they went on stage, there was a video montage of their whole career up until now. 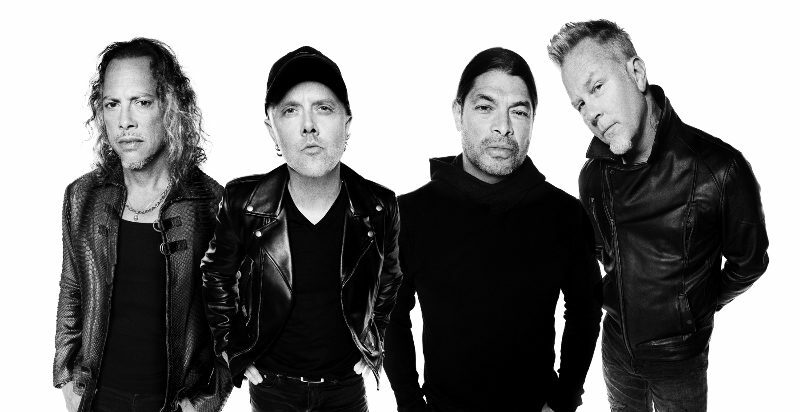 It was quite interesting to see the beginnings of the band and how they blew up. They kicked off their fiery set with “Are You Ready” off their latest album, Evolution. 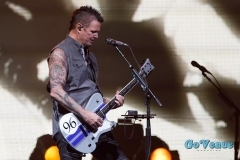 The parts of their set that really got to be were the more stripped down songs like “Hold On to Memories” and “A Reason to Fight”. With “Hold On to Memories”, they showed photos and videos of friends and families, including towards the end, people who passed away recently like Chester Bennington of Linkin Park and Chris Cornell of Soundgarden and Audioslave, and it made me tear up a bit. “A Reason to Fight” was dedicated to those who have battle with mental health, a very universal subject amongst the music community. 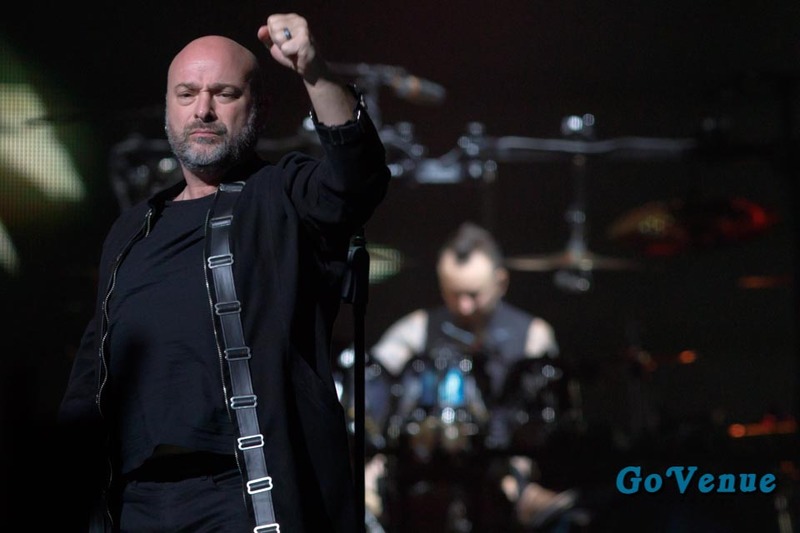 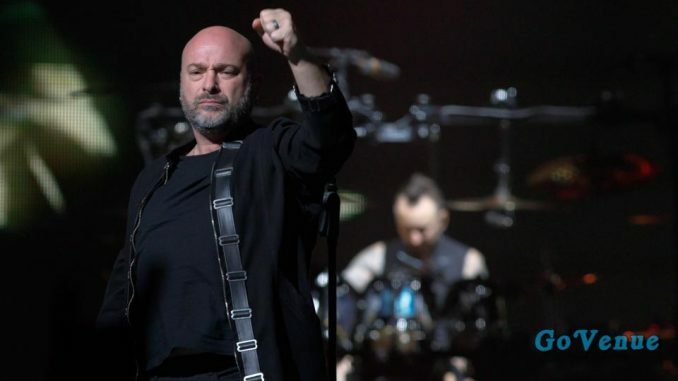 And let’s not forget Disturbed’s haunting cover of “The Sound of Silence”, which takes it to another level live with the addition of live strings. 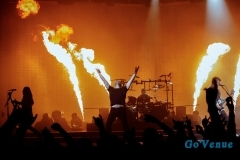 A cool pyro technique was having the top of the piano during the song catch on fire. 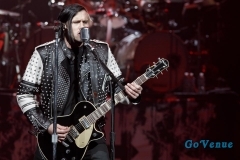 So unique, very reminiscent of Elton John and Lady Gaga. 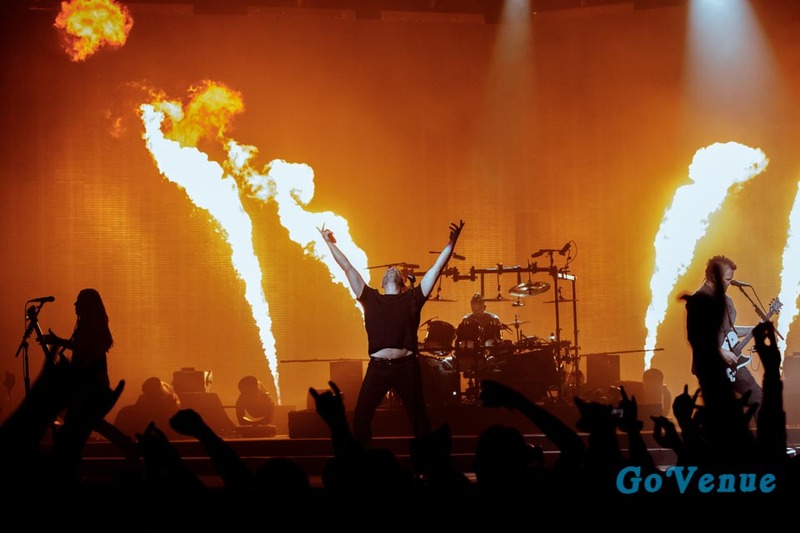 “Inside the Fire” put the emphasis on fire as their was pyro everywhere on that stage, especially during the guitar solo, where fire was coming down from the ceiling through flammable ropes. 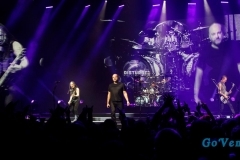 They later came back for an encore, performing “The Light”, which required some crowd participation with the use of cell phone flashlights and lighters, “No More”, and last, but certainly not least, their staple song, “Down With the Sickness”. 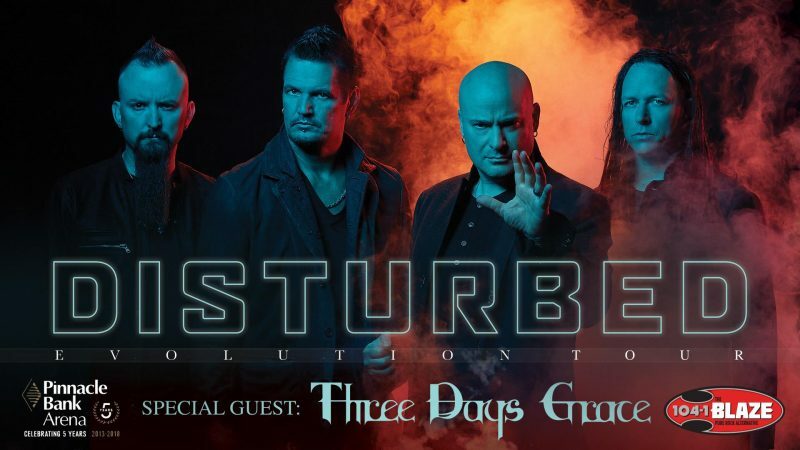 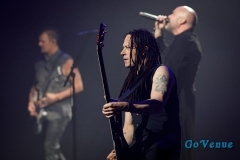 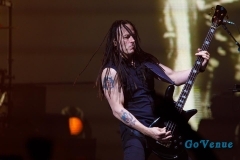 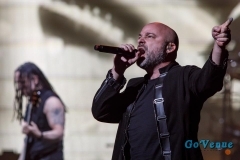 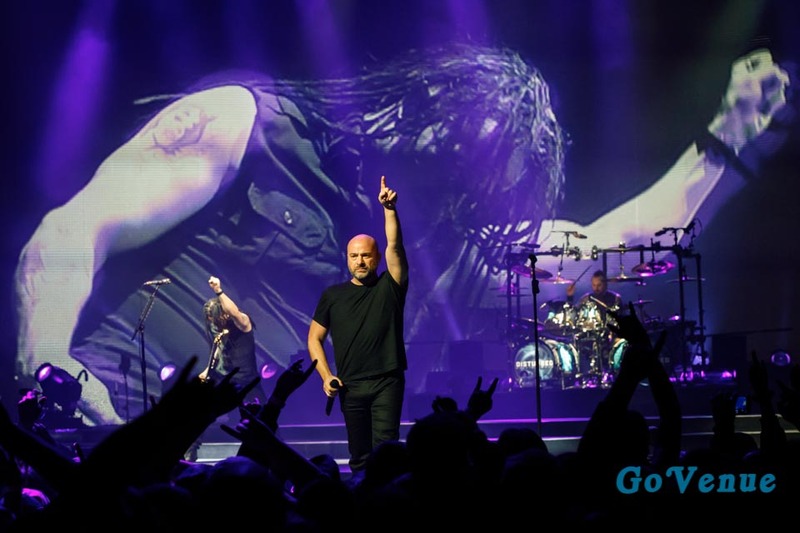 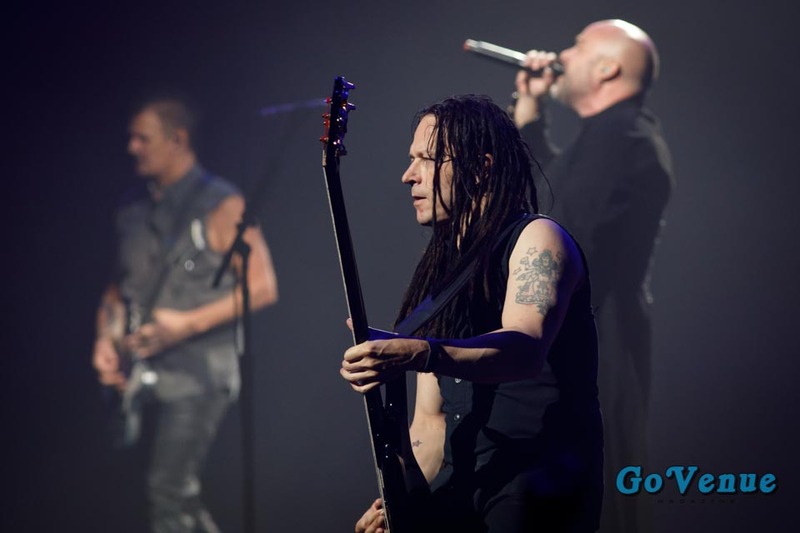 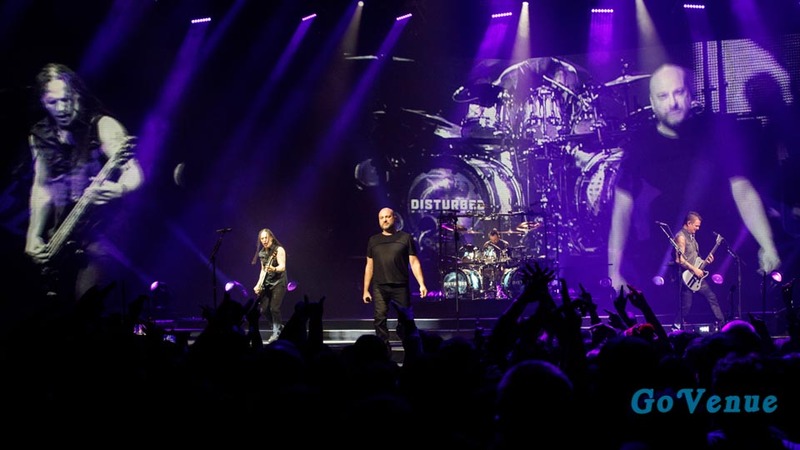 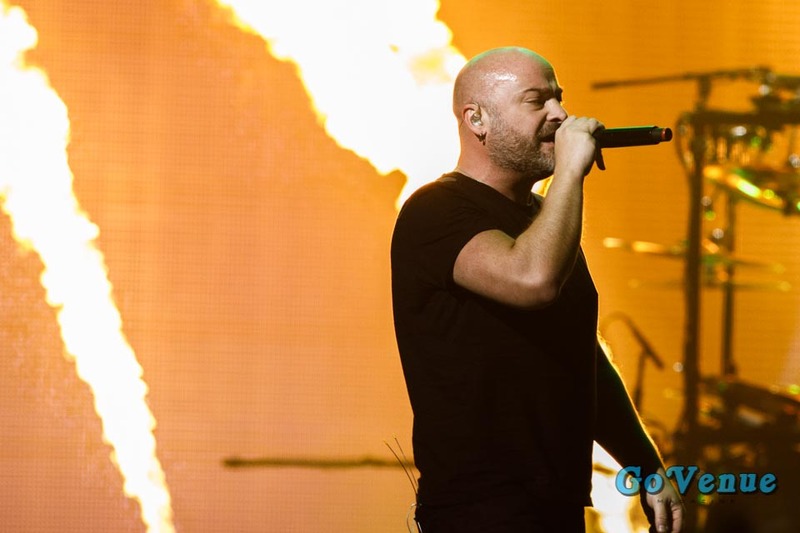 Disturbed brought a world-class set of hits, ballads, and fire to counter attack the frigidness of Nebraska weather. 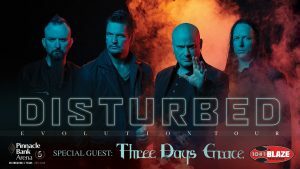 I am always thankful for Pinnacle Bank Arena and 104-1 The Blaze for bringing these hard rock and heavy metal acts to Lincoln. 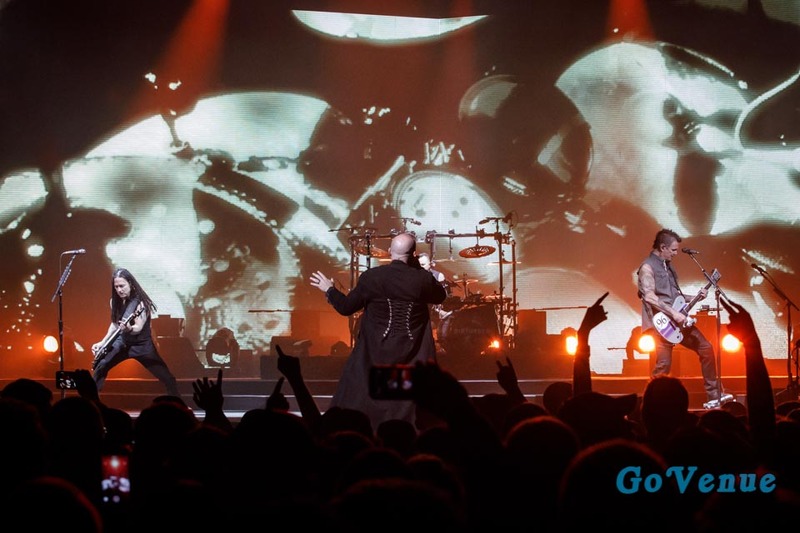 Keep it up and hopefully Disturbed doesn’t wait over ten years to come back to Lincoln, let alone, Nebraska.